Mosquitoes, flies, ticks and bugs may be a threat to your health – and that of your family – at home and when travelling. This is the message of this year’s World Health Day, on 7 April. This short video highlights simple measures we can take to protect ourselves. 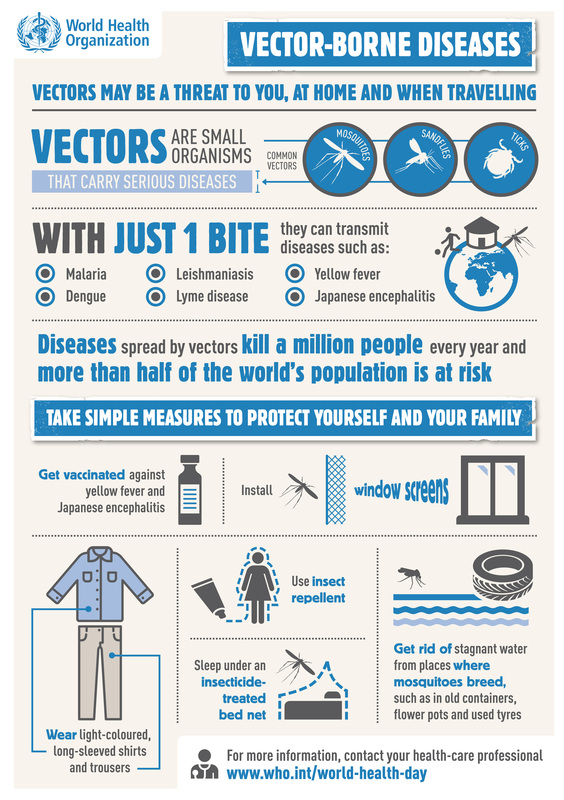 This year, the focus of World Health Day is on vector-spread diseases – meaning diseases that can be transmitted through mosquitoes, flies, ticks, bugs and freshwater snails causing serious illness and death. Diseases such as malaria, dengue, leishmaniasis and yellow fever are preventable, yet they have the biggest impact on some of the world’s poorest people. 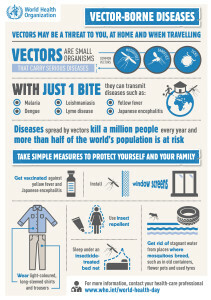 More than 50% of population is at risk of these diseases. Increased travel, trade and migration make even more people vulnerable. The World Health Organisation (WHO) has a simple message on what we can do to protect ourselves. Taking measures that include sleeping under a mosquito net, wearing a long-sleeved shirt and trousers and using insect repellent can make all the difference. ChildFund focuses on awareness and prevention of diseases such as malaria as part of our overall primary health care programmes. We especially address the needs of pregnant women and young children who are particularly susceptible. We promote the use of impregnated anti-mosquito nests and educate on how to treat and care for them. Some examples of our work include a malaria prevention and mitigation project which was carried out in Mozambique to benefit infants and pregnant women. In Uganda, ChildFund distributed 30,000 mosquito nets to expectant mothers and children under five years. This was in addition to large scale immunisations of children and expectant mothers, distributing kits to assist mothers and the construction Early Childhood Development centres. If you would like to contribute to ChildFund Ireland’s programmes benefiting children and mothers you can support a direct action project or sponsor a child like Francis today! My name is Francis. I am five years old and live in Kiboga Area in Uganda. I have been sponsored by ChildFund since 2009. 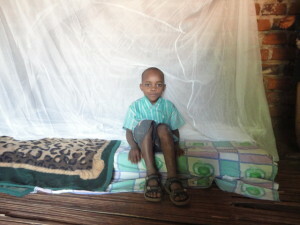 In 2010, I received a mosquito net from ChildFund. Since then I have never fallen sick.